Tip of the hat to the team of individuals responsible for what is the most comprehensive summary of events leading up to and surrounding Nokia’s fall from grace in the smartphone space and what their current CEO is hoping to do about it. As many of you have tipped to us, there is a fantastic article over at BusinessWeek detailing the history of Elop. It’s over 7 pages so you might want to get something to drink while you mull over it. Some of it we’ve heard about before, such as the events that led up to Nokia choosing Windows Phone over Android. Amazing, innovative technology is bountiful at Nokia. (We’ve heard before from ex-Nokians of this – and their concern that none of it ever gets to market). Examples were demosntrated to Elop, such as a phone built with nanoscale – preventing water from disrupting the electronics, thus making it waterproof (Elop was given the phone in water tank demo). New Disruptions team has been given the task to create the next big thing to blow away not just Apple and Android but also EVERYTHING Nokia is doing with Windows Phone. Windows Phone thus isn’t the end all and be all for Nokia. We are all still looking ahead. Windows Phone seems just to be something to buy time for Nokia to remain relevant whilst working behind the scenes to turn the tables in the mobile world again. This bit might angry the Symbian fans. Read the article to gain the full context “Most of these problems could be traced back to Symbian. Never beloved by users, it became hopelessly buggy as Nokia tried to make the 10-year-old dog pull off iPhone-like tricks”. Ollila, Nokia Charman apparently saw problems at Nokia’s Symbian. Instead of replacing OPK – trained lawyer – with someone internal, Ollila felt they had to chose someone from the outside with expertise in software to lead Nokia. Carriers want an alternative. Although you have millions of manufaturers and their grandmothers spewing out Android handsets, it’s essentially, Apple vs Android. An alternative is beneficial for the carriers. It’s good for consumers too as we always hear, competition makes our choices better. Again, there’s denial of a Microsoft acquisition. 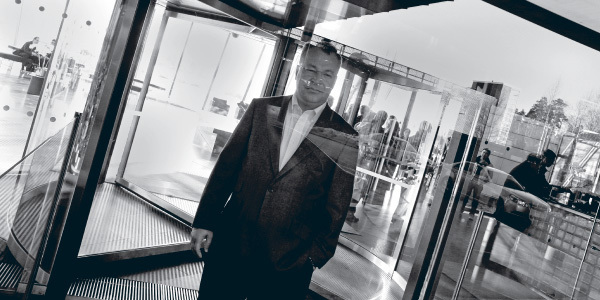 I hope Elop is the Nokia saviour he presents himself to be and not Ballmer’s Trojan Horse which some of the media and sceptics believe him to be. I’d like to write a separate piece about the outlook for Nokia not being as bleak as it seems. But that will be for another time. In the meanwhile, have a look at this piece from the Guardian. I’ve read a few of Charles’ work before and he doesn’t seem to be the Pro Microsoft type. In fact he’s often slated for being an iFanboy. Thanks to everyone who mailed/tipped/tweeted us about this story!